Not since the Baby Boomers has a generation had such a profound impact on our culture, nor has our culture had such a profound impact on a generation. Born between the early 1980s and mid-1990s, millennials are the first digital generation, coming of age at a time when information— virtually all information—has become commoditized and universally accessible. 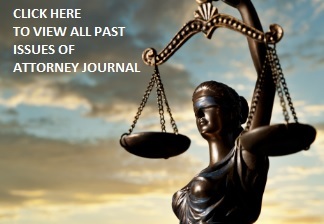 Now, the oldest millennials are becoming law firm partners and beginning to make a true imprint on the legal profession. Rather than resisting the tide, Big Law will need to adapt in order to motivate and retain them. Here’s a hint: It’s not about the money. Like the Boomers, millennials have been vilified by the generations preceding them. Millennials are often described as “self-centered, needy and entitled with unrealistic work expectations,” Jada A. Graves wrote in U.S. News & World Report, in June 2012, and perception has changed little in the ensuing six years. However, “this unsavory list of descriptors is in sharp contrast with how this generation views themselves. … They don’t see themselves as entitled, they see themselves as very hardworking, dedicated and loyal,” she wrote. Like Graves, we believe millennials are no different than their predecessors, and what they really suffer from is a classic communication gap between generations. Moreover, given their unfettered access to information via the internet, millennials are arguably the most well-informed generation. They don’t think they’re lazy—just misunderstood—and they don’t seem to care what their elders think. The vast majority of millennials are still associates whose main responsibilities are billing hours rather than business development, and the data suggests that the traditional system of leverage, with partners landing major clients and associates putting in the hours to service them, continues to produce favorable financial results. According to McLellan, 61 percent of attorneys at the top 10 law firms by profits per equity partner are millennials, and that percentage decreases as the profitability of firms decreases. However, with the oldest millennials now entering their mid-30s and nearly a decade in practice, firms are looking to elevate them into the partnership vacancies left by the significant number of Boomer retirements expected in the coming years. Given millennials’ priorities (which differ significantly from their predecessors) and the significant post-recession shifts in the way law is practiced, it seems obvious that Big Law will need to get creative in how to accommodate, retain and elevate its largest and arguably most leverageable group of attorneys. Earlier this year Major, Lindsey & Africa (MLA) released the results of its 2018 Partner Compensation Survey, the fifth in its series of biannual compensation surveys. In addition to tracking metrics such as compensation and origination, the survey also digs deeper to understand partners’ satisfaction with compensation and their compensation systems. For the first time in 2016, and again in 2018, MLA asked partners if they would be willing to trade a portion of their compensation for other benefits, including more time off, a flexible work schedule, a cut in billable hours, better health benefits, more pro bono hours, and more time for greater career training and development. In the 2016 survey, just over 60 percent of respondents indicated they would trade a portion of their compensation for one or more of the benefits listed above. The willingness to trade was significantly higher among more-junior partners, with 69 percent of respondents who made partner in the last five years willing to trade a portion of their cash compensation for non-monetary benefits. The 2018 survey saw a decline in the total number of respondents willing to make the trade, but the percentage of those responding in the affirmative was still over half, at 51 percent. Again, the group most inclined to do so was those who had made partner within the last five years. Included in this group were the very first of the millennial partners (i.e., those who were born in the early to mid-1980s), and while they accounted for just 3 percent of respondents in the 2018 survey, they will surely comprise a higher percentage of respondents in the 2020 survey. When asked which benefits partners would be willing to trade, regardless of tenure, the greatest percentage favored more time off. Following more time off, the most-junior partners (under five years) were most amenable to trading cash compensation in exchange for a cut in billable hours, a flexible work schedule, better health benefits, more time for greater career planning and development, and more pro bono hours, in that order. These junior partners, which include the first millennial partners, are seeking the benefits that support the lifestyle and priorities its generation has identified as most meaningful—a holistic approach to personal and professional life, proclivity toward self-development and mentorship, autonomy, and a dose of reality around the rising costs of health care. Across all levels of seniority, one-third of all partners who would trade were willing to sacrifice cash compensation for more time off. Notably, in 2018 the percentage of those willing to trade for time off increased among the two more-senior bands (11 to 20 years and over 20 years) by only 5 percent, while the two more-junior bands (six to 10 years and less than five years) each jumped 10 percent. Regarding fewer billable hours, only the more-junior bands reflected a meaningful increase in their desire to make this trade-off. The two senior bands stayed even at about 14 percent. The willingness to trade for better health benefits nearly tripled among the most-junior partners, increasing from 4 to 11 percent. Though not expressly stated, this seems to reflect a desire to offset the ever-increasing costs of health care and continue the push for more generous parental leave policies. The responses from mid-level partners did not change meaningfully, but the most-senior partners (presumably those more likely to be requiring health care services) reflected a slightly greater increase, from 2 to 5 percent. Having a committed group of millennials among a firm’s partnership will be important for developing new client relationships and ensuring continued growth in the years ahead. As law firms discovered in the late 1990s, particularly among their tech clients run by CEOs in their 20s and 30s, business leaders, particularly younger ones, gravitate toward lawyers they can relate to and who they believe share their values. Sending older partners in Brooks Brothers suits to woo clients in Silicon Valley was not a winning formula. If you believe that the demand for legal services is diminishing (a claim we have heard often but remain skeptical of), having a new generation of partners poised to capitalize on new business opportunities will be critical. It seems obvious that if more than half the partnership is willing to trade cash compensation for better benefits and other modifications to the traditional working arrangements, firms should pay heed. Given millennials’ affinity for technology and comfort with accessibility beyond traditional working hours, allowing a more flexible schedule or remote options would likely go a long way in providing autonomy without sacrificing responsiveness. It may also provide a welcome reprieve from ever-rising real estate costs and the jockeying among partners for prime office space. Similarly, to assuage the desire for continued training and development, firms should continue to invest in robust mentorship programs. When effectively executed, these programs provide the one-on-one guidance, feedback-rich relationships millennials crave. Clear expectations around performance and promotion eligibility paired with the necessary resources are the keys to success within this group. Millennials have been clear that their loyalty is to values, people and purpose before the organization. High-touch communication and continued engagement will serve to strengthen the bond necessary for firms to continue to thrive and limit attrition. Given these trends, we predict that our 2020 survey results will show an even more pronounced preference by millennial partners for the compensation trade-offs described above. This prediction is bolstered by the ever-growing number of attorneys opting in to lucrative, nontraditional practice arrangements that allow, and even promote, flexibility and autonomy despite record-low unemployment. Jeffrey A. Lowe is the Global Practice Leader of the Major, Lindsey & Africa Law Firm Practice Group, the Managing Partner of our Washington, D.C., office and the leader of the Washington, D.C., Partner Practice Group. He regularly handles the most significant placements in Washington, D.C., and is widely regarded as one of the leading partner recruiters and advisors in the United States. Shannon Murphy is a Managing Director and Office Leader at Major, Lindsey & Africa for their Interim Legal Talent group, Shannon Murphy oversees business development initiatives, client delivery and recruiter leadership. About the Author: Jeffrey A. Lowe is the Global Practice Leader of the Major, Lindsey & Africa Law Firm Practice Group, the Managing Partner of our Washington, D.C., office and the leader of the Washington, D.C., Partner Practice Group. He regularly handles the most significant placements in Washington, D.C., and is widely regarded as one of the leading partner recruiters and advisors in the United States. Shannon Murphy is a Managing Director and Office Leader at Major, Lindsey & Africa for their Interim Legal Talent group, Shannon Murphy oversees business development initiatives, client delivery and recruiter leadership.